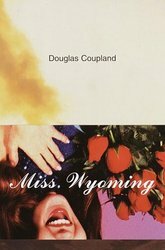 The novel follows two protagonists, Susan Colgate, a former Miss Wyoming, and John Johnson, a former action film producer. Both have experienced early success but now find themselves in terminal career decline and with a host of personal problems. When circumstances intervene to offer routes out of their lives and then to bring them together, they are afforded the opportunity to discover themselves and to brighten their futures.